Regis University appears in our ranking of the Top 10 Online Master’s in Accounting Degree Programs. Since Fall 2015, the Anderson College of Business and Economics led by Dr. Timothy Keane has awarded the 120-credit B.S. in Accounting at a 13:1 student-professor ratio for Regis University Rangers to fine-tune quantitative skills in 16-week Denver or eight-week online classes. Chaired by Prof. Don Bush, a 1997 Excellence in Teaching Award recipient, the B.S. in Finance follows a 120-credit, CFA-aligned curriculum in Denver or online with an optional Leadership Development Emphasis atop investment expertise. Solely online via WorldClass, the M.S. in Accounting plots a 30-credit, HLC-accredited major under Dr. Martin Sipos with a 48.4 percent Certified Public Accountant pass rate after eight-week modules like Income Tax Research. The 45-credit Professional MBA headed by Dr. Donna Van Dusen, a 2012 Jesuit Higher Education Scholar, starts accelerated online terms six times yearly for cohorts averaging 18 in Accounting and Finance Specializations ranked among the U.S. News & World Report’s top 284 nationally. 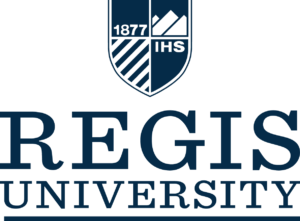 Regis University originated in 1877 when Italian exiles opened Las Vegas College in New Mexico as the Mountain West’s first Catholic Jesuit institution. One decade later, Bishop of Denver Joseph Projectus Machebeuf merged it with Sacred Heart College of Colorado. In 1921, the Regis College name was adopted in remembrance of the French priest Jean-Francois Regis. That year, it split from its college-prep division called Regis Jesuit High School too. Fully accredited in 1952, Regis launched the first accelerated adult program in 1977. In 1978, the Master of Business Administration debuted for leadership training. After acquiring Loretto Heights College in 1988, it was renamed Regis University in 1991. By 2015, the Anderson College of Business and Economics was born with a $10 million donation from the Nor-Son CEO. Regis University now enrolls 10,518 Rangers across 132 programs with 62,678 service hours in 2017 and 35 organizations like Sports Business Club for 95 percent job placement. On Niche, Regis boasts America’s fifth best online classes, 168th top accounting major, and 129th best small campus. Washington Monthly also placed Regis University 19th for adult education. On November 15, 2018, Regis University satisfactorily completed a comprehensive evaluation by the Higher Learning Commission of the North Central Association (HLC-NCA) to reaffirm the Level VI accreditation through 2028 under its 24th president, Father John P. Fitzgibbons, who received the Archbishop John R. Roach Award. Located 1,000 miles east via Interstate 80 in Chicago, this mega 19-state Midwest Region accreditor is authorized by the U.S. Secretary of Education to judge the effectiveness of Regis’ 53 baccalaureate, 32 master’s, three doctoral, and 49 certificate offerings. Specifically, the Anderson College of Business and Economics was accredited by the Project Management Institute (PMI) Global Accreditation Center (GAC) in May 2013. Regis University is also an unaccredited candidate member of the Association to Advance Collegiate Schools of Business (AACSB). Starting at Regis University is classified “moderately difficult” by Peterson’s because 4,427 of the 7,388 Fall 2017 applicants were victorious for selective 60 percent acceptance. First-year Rangers seeking the B.S. in Accounting or Finance must finish a high school diploma or the GED equivalent. On average, freshmen present a 3.54 GPA, 1162 SAT, and 24 ACT mark. Advanced Placement courses like Calculus BC must be graded “4” or better to count. The Anderson College of Business and Economics requires declared majors have previous transfer credits. Each non-remedial, regionally accredited course graded at least “C-” transfers. Proof of relevant work experience is another must-have. Non-native English speakers need a 213 TOEFL Computer, 82 TOEFL Internet, or 6.5 IELTS score. The Professional MBA demands a four-year bachelor’s degree with two prerequisites: Principles of Accounting and Business Finance. Minimum GPA or GMAT marks aren’t listed to ensure holistic admission. M.S. in Accounting entrants pursuing CPA certification must meet 150 credits of specified courses too. Regis University set priority domestic undergrad deadlines of August 1st for Fall and December 1st for Spring. Foreign students must apply by July 1st or November 1st respectively. Both the M.S. in Accounting and Professional MBA require admission one month prior to eight-week online term starts. Accordingly, complete the Regis or Common Application online with $50 or a fee waiver. Send official degree-bearing transcripts to Mail Code A-12 at 3333 Regis Boulevard in Denver, CO 80221. Test score submissions require SAT/TOEFL code 4656 or ACT code 0526. Other attachments include the personal statement, experience résumé, spiritual recommendation, and letter of financial guarantee. Accepted Rangers then provide the $250 tuition deposit and $250 room reservation fee if desired. Pose further questions to (303) 458-4900 or studentservices@regis.edu. For 2018-19, Regis University has charged full-time B.S. in Accounting and Finance majors $18,230 per semester or $36,460 annually in Denver. Traditional part-time study incurs $1,139 per credit. Undergrads pay the $350 activity fee and $350 orientation fee. Health insurance costs $3,486 per year unless waived. Living at the “Mile High City” campus’ dorms like DeSmet Hall adds $5,280 to $9,100 yearly. Meal plans for Main Café range from $720 to $5,220. Regis budgets $1,800 for texts and $2,870 for other expenses. Annual bachelor’s attendance equals around $51,202 on-site and $40,280 with parents. Online Anderson College tuition is $510 per undergrad credit. The M.S. in Accounting currently bills $885 per credit or $26,550 total. Professional MBA cohorts spend $990 per credit online for $44,550 combined. According to the NCES College Navigator, the Student Services Department in Main Hall gets 97 percent of incoming Regis Rangers median financial aid of $21,367 each for $10.10 million overall. University funds include the Bruskotter Scholarship, Cherne Endowed Scholarship, Donald Dillon Arrupe Scholarship, Eleanor Diss Sabin Scholarship, First Data Endowed Scholarship, Herschel Shwayder Memorial Scholarship, Jewish Students Endowed Scholarship, Leah Anne Shiely Scholarship, Pascual Ledoux Endowed Scholarship, Raymond Hutchinson Scholarship, Ruth Shy Wilson Scholarship, and Steve Graham Capacity Building Scholarship. The Colorado Community College Scholarship gifts $3,000 per year to transfers with 60+ credits and 3.0 GPAs. Posting #RegisInspired photos on social media gets 200 current students $500 awards. The $12,000 Ignatian Religious Leadership Award has a March 1st deadline for 750-word essay submissions. Early FAFSA application with code 001363 is best for Federal Pell Grant, SEOG Grant, Work-Study, and Direct Loan acceptance. The Colorado Society of CPAs has awarded $2,500 scholarships each year since 1958. Other state assistance like the Colorado Student Grant, National Guard Tuition Program, and LEAP Program Grant also help. Learn more about Regis University at the Anderson College of Business and Economics website.